MS is a frequently disabling disease of the central nervous system. While it has long been considered incurable, new research is making great strides that may help sufferers cope with, and possibly even prevent or treat, the disease. New research published in the European Journal of Neurology found that children with MS have higher levels of inflammation-causing bacteria and fewer anti-inflammatory probiotics in their guts. Children with MS and those without were assessed to determine whether there may be any differences in gut bacteria. While both groups had a similar amount of bacterial diversity in their guts, the children with MS had more bacteria that caused inflammation and fewer probiotics known to quell existing inflammation, suggesting that gut microbes and inflammation may be a key breakthrough in understanding and treating this serious disease. MS is an autoimmune disorder in which the immune system attacks itself. It has long been known that environmental factors, genetics and infections may trigger the condition, but little has been known about how to influence these factors to give people the best chance of recovery. While there has been other research on the disruption of gut bacteria as a role in the disease, it has largely been conducted on animals. This new research from scientists at the University of British Columbia, the University of California (San Francisco), and the University of Utah, Salt Lake City, examined children to determine the role of gut bacteria on the condition. From the pilot study results, diversity of bacteria in the gut may be similar between children with MS and those without, but the specific strains may provide clues to the condition. Specifically, children with MS showed a higher number of bacteria known as Desulfovibrionaceae (Bilophila, Desulfovibrio, and Christensenellaceae), and fewer numbers of Lachnospiraceae and Ruminococcaceae bacteria. It’s not necessary to remember or even to pronounce these bacterial names. 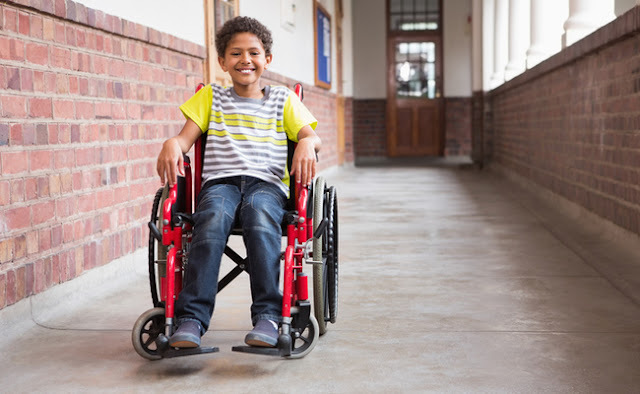 The Desulfovibionaceae bacteria, which were high in the children with MS, are linked with increased levels of inflammation, while the latter anti-inflammatory bacteria were found in low numbers. Associate professor Helen Tremlett, at UBC’s Faculty of Medicine indicated that the bacterial findings were similar to other studies exploring the gut microbe link to MS. While it is too soon to know whether these microbes represent some sort of signature when it comes to MS, it suggests possible treatment options to address infections and reduce inflammation in the gut. So how exactly is the gut so closely linked to diseases of the brain and nervous system, like MS, you may be wondering? While the research continues to zero in on the exact mechanism, consider that research is showing that the gastrointestinal tract (GI) plays a huge part in your body’s immune response. It is one of the main determinants of the levels of inflammation in your body, and whether your body will attack healthy tissue. Getting on top of inflammation is critical to maintaining a healthy brain and nervous system. While there are many natural anti-inflammatories two of my favorites include the spices ginger and turmeric. Eating more of these spices on a daily basis may help reduce gut inflammation over the long-term, but MS is a complex condition that typically requires a multi-faceted approach, so work closely with your naturally-minded physician if you wish to explore the anti-infection and anti-inflammatory approach.